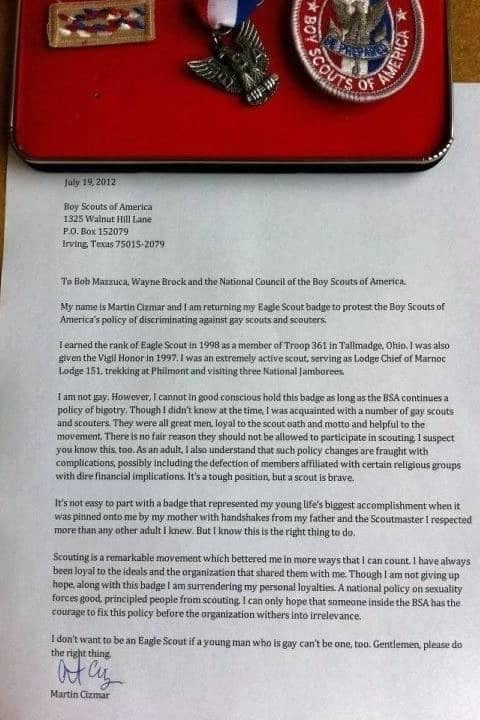 Martin Cizmar, the arts and culture editor of Portland Oregon's weekly Williamette Week, returned his Eagle Scout badge to the Boy Scouts yesterday in protest of the group's anti-gay policies. 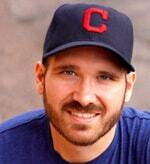 Wrote Cizmar: "I am not gay. However, I cannot in good conscious hold thi sbadge as long as the BSA continues a policy of bigotry. Though I didn't know at the time, I was acquainted with a number fo gay scouts and scouters. They were all great men, loyal to the scout oath and motto and helpful to the movement. There is no fair reason they should not be allowed to participate in scouting." Added Cizmar on Twitter: "Just mailed my Eagle Scout medal back to the BSA to protest the ban on gay scouts. Kinda sad, but important."